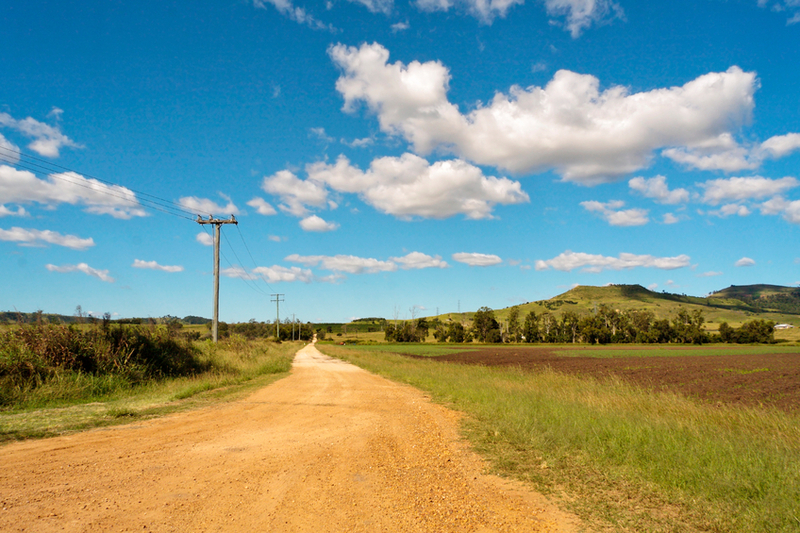 Rural councils and road agencies should embrace innovative solutions proven to slash the economic and environmental burdens of maintaining unsealed roads, researchers say. Unsealed roads are a major drain on council coffers, particularly regional councils, which have the majority of unsealed roads. In ALGA’s 2015 State of the Assets Report, research on the condition of unsealed roads in Australia showed 19% – equalling $2.3billion – were in poor to very poor condition. Director of sustainability consultancy Factor Ten Stephanie Camarena will be presenting ways to build resilience in unsealed roads maintenance programs at IPWEA’s 2016 Sustainability in Public Works Conference, running 24 – 26 August. Camarena says councils and road agencies need to take a closer look at the financial and environmental costs of their unsealed road maintenance programs. “It’s about starting to be conscious of what maintaining unsealed roads involves – most of the time the maintenance regime is set for the year and it’s very systematic,” she says. “There’s often no real study around the necessity of maintenance or not. Roads are classified in the roads management plan and work is prioritised based on a schedule of work. “There’s a number of things people don’t often think about, because we’re just doing as we have always done. It’s a different way of thinking. Costs and impacts need to include externalities: for example, do not just calculate the cost of the material but include the damage to adjacent roads when delivering the material. Calculate the cost of the individual re-grading but also look at the quality of it and how often do you have to redo it. Consider: does different material require less yearly maintenance, therefore less cost and create less traffic disruption?" Doing so will have both financial and environmental benefits. Camarena says engaging the community is one of the best ways to optimise the maintenance schedule. These discussions often reveal that a particular section of road has been subject to flooding or is in very poor condition, which then changes the maintenance priority. “They changed the priority based on the community consultation, which is really the way to go,” Camarena says. Negotiating with local farmers to use unwanted surface stone can also create savings, Camarena says. “In Mildura, a lot of the farmers in the area have rock that they need to remove, so they can work the soil for agriculture,” she explains. “The farmers work with the council to give away that rock, which becomes a free material for the council, and saves the farmers money because it is removed for them. The traditional method of maintaining unsealed roads multiple times a year is patently unsustainable, Camarena says. “You might have 20 trucks of gravel material being delivered to site, 90km away, just to maintain 1km of road. Traditional road maintenance methods also use large amounts of water. “You might use 200,000 to 300,000 litres just to maintain that 1km of road – and you do that four to six times a year,” Camarena says. Using technology that stabilises unsealed road surfaces and reduces the frequency of maintenance can save up to 70% of life-cycle maintenance costs, Camarena says. Factor Ten compared the life-cycle of multiple projects using a product called PolyCom Stabilising Aid versus the traditional maintenance methods (multiple grading intervals per year, and lime or cement stabilisation). “We started with a simple carbon footprint and continued on to the streamlined life-cycle,” Camarena says. The PolyCom product is 50% biobase, and 50% polymer, which comes in a powder-like form that is sprinkled on a road surface. Once applied, the polymer molecules stretch in a web-like form which binds the material together providing strength, plasticity and high compaction rates. “When you look at the life-cycle cost, over three years, five years, 10 years, and then take into consideration all of the resources that are part of the maintenance – that means fuel, that means quarry material, that means water – then you find out that you can save 50–70% of the costs of maintaining the asset,” Camarena says. “Instead of grading the road four to six times a year, you will grade it once a year, or once every two years. You can reduce water by basically 80%, which is enormous. Camarena says while the product can be applied to most existing road materials, it works particularly well in environments where the soil has a high clay content. Camarena says there are other products, such as lime and cement, which can be used for stabilisation. Sharing ideas and innovations on forums like IPWEA’s Ask Your Mates is vital, Camarena says. “Often there’s a lot of good ideas, but because councils are separated physically, there can be a lack of exchange, which is a real issue,” she explains. “At Cardinia Shire Council, they have a program where they’re spending a lot of money to clean up the drains along unsealed roads – it costs them a fortune, and they need to dispose of the drainage material. “Now they’re looking at using that recycled material with PolyCom on the road as a stabilisation product. That means they will reuse the drain material, saving money along the way. Register now for IPWEA’s 2016 Sustainability in Public Works Conference, running 24 – 26 August in Melbourne.